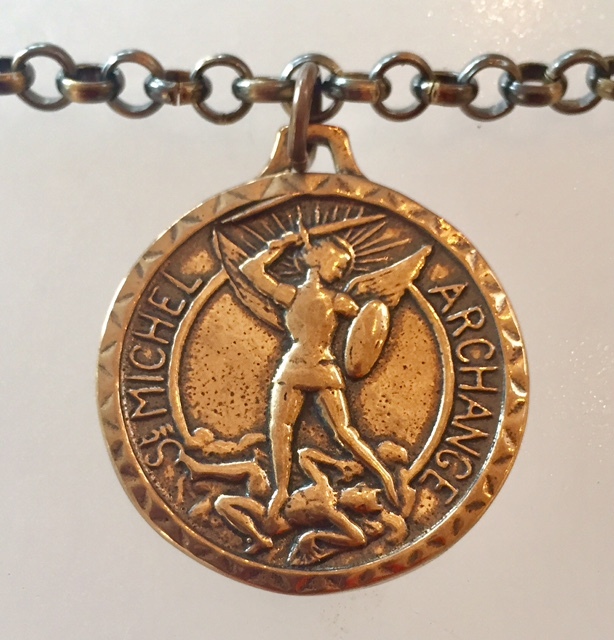 A substantial 22" Rollo Chain with a solid Bronze French Saint Michael medal. The piece was cast form the orignal French piece from the Art Deco period, this lovely reproduction is hand crafted. 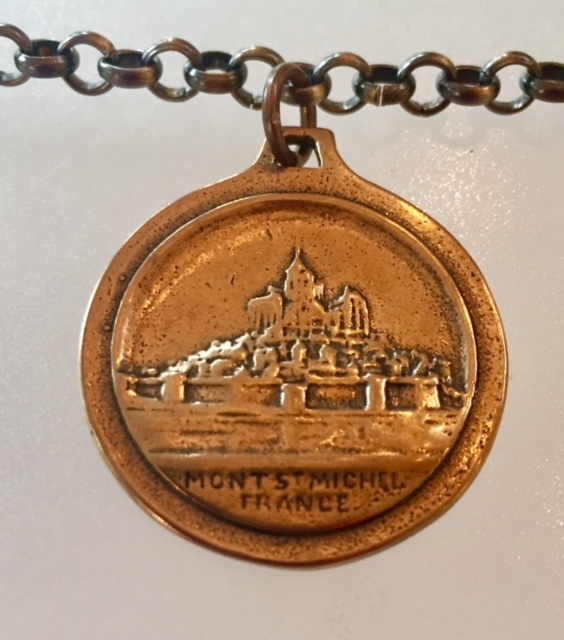 The reverse features Mont St Michel in France. Necklace is 22"L , charm is 1 1/8" in diamater. Saint Michael the Archangel isn't a saint, but rather he is an angel, and the leader of all angels and of the army of God. This is what the title "Archangel" means, that he is above all the others in rank. He is the patron saint of warriors and, the sick and suffering. Based on the legend of his 8th century apparition at Mont-Saint-Michel, France, the Archangel is the patron of mariners in this famous sanctuary. St. Michael is also the patron of grocers, paratroopers, policeman and fireman.